Is there anything David Beckham can’t do? 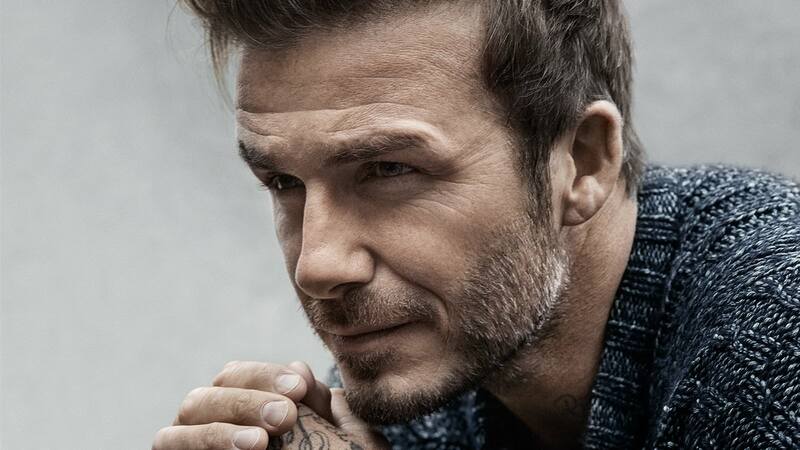 Not only is he one of the world’s most famous football players, with a style icon for a wife and talented children, Beckham has now successfully entered the fashion world with his cool yet sophisticated collaboration with Kent & Curwen. 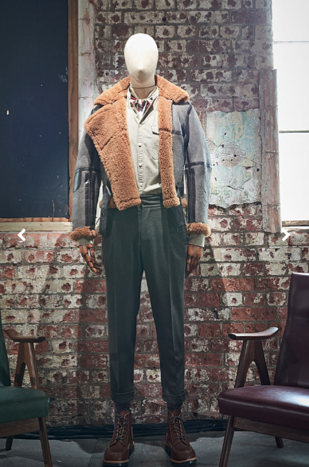 The collection debuted at this year’s Men’s London Fashion Week, and was headed by creative director, Daniel Kearns, with Beckham being his notably famous business partner, and the pair blended the best of British with an edge of vintage aimed at creating clothing that men from all backgrounds can wear. The new AW clothing line is evidently proud of its British heritage as all the clothes are manufactured and produced in London, but also the authenticity of the clothing line is noticeable with the olive green Great Coat using the same wool that was worn by officers during World War One. 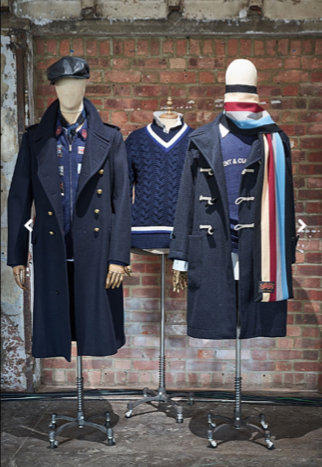 The variety of coats from the collection makes it a line that all men can find an item that they would want to wear. The collection entails a few Army and country jackets, heavy duty coats, handsome trench coats and the extremely trendy 1960s style bomber jacket, all which make up the stunningly raw collection of coats that were on display during Fashion Week. The military style of many of the coats provides the essence of vintage within the collection and recalls the 1960s Mod movement. Beckham has managed to combine a variety of eras into the fashion line with certain items screaming particular historical moments. Beckham himself stated that when designing the collection, they ‘trawled through vintage stalls and markets and looked at old images of myself, images of Steve McQueen, James Dean, Paul McCartney in chunky sweaters, Mick Jagger from the 1960s, an image from the 1966 world cup with Alf Ramsay going onto the pitch in a zip up tracksuit top.’ Beckham wants to dress the modern man in a fashion that contains memories of the past. With the added excitement of Beckham himself making an appearance at LFWM, who donned the Great Coat from the Kent & Curwen AW17 collection, this line definitely seemed to stand out and created a buzz at this year’s Men’s London Fashion Week.